These are the words that changed the world forever and they can change our lives right now! Living in a world where everything is customizable, we love options. But in today’s message, we learn that Jesus said there is only ONE road, ONE option, when it comes to eternal life. We’re told to hate our enemies, but Jesus said, “Love Your Enemies.” Today, Pastor Nick talks about why to REALLY love God, we must love EVERYONE He loves. The world may tell that us what we earn is ours, and to hold tight to our money. 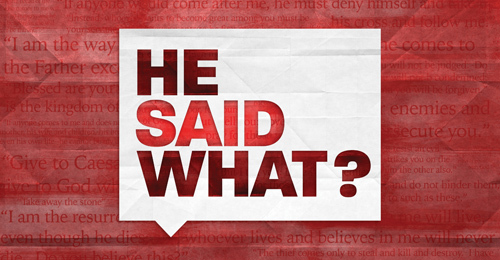 But today, Pastor David talks about a controversial statement from Jesus, about who and where we should give our money. 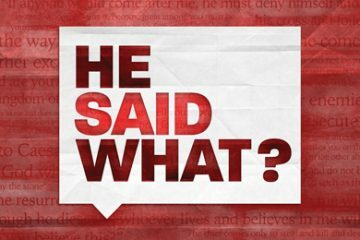 Today, as we celebrate Easter and what Jesus has done for us, we’ll be looking at a bold statement that Jesus made. Not just a bold statement that makes us say ‘He said what? !’ But actually having the power to pull it off.